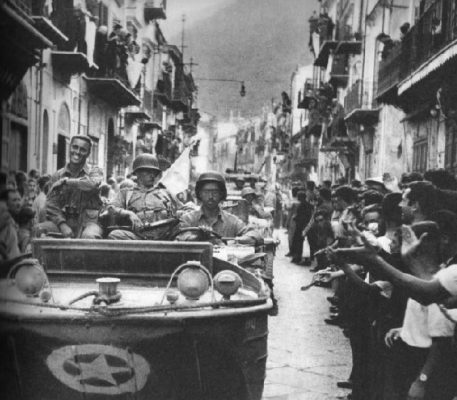 One of the most significant developments of the Second World War in Italy occurred on this day in 1943 when Allied forces captured the Sicilian, capital, Palermo. 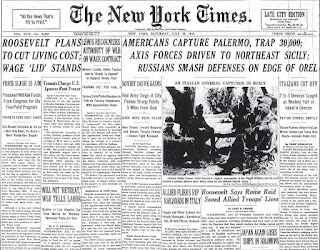 A battle took place between General George S Patton’s Seventh Army and some German and Italian divisions but it was not a prolonged affair. 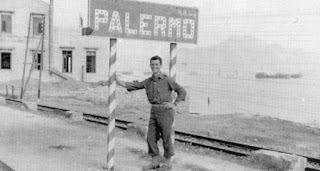 The Sicilians themselves by then had little appetite to fight in a losing cause on behalf of the Germans and the invading soldiers were greeted by many citizens as liberators. It was not a decisive victory for the Allies but it had a symbolic value, signifying the fall of Sicily only 12 days after Allied forces had crossed the Mediterranean from bases in North Africa and landed at Pachina and Gela on the south coast of the island. 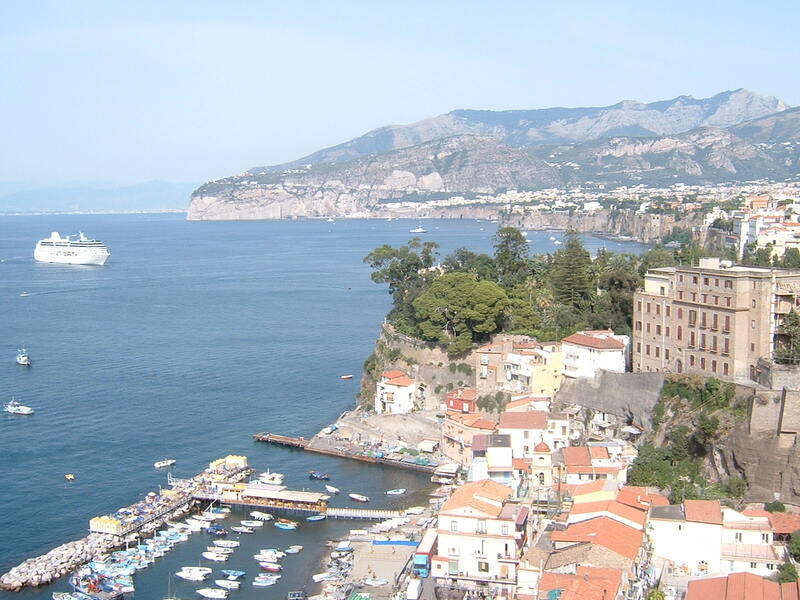 In fact, the Americans and the British were still meeting German resistance around Catania and Messina in the northeastern corner of the island, it would be only a matter of time before their resistance ceased. 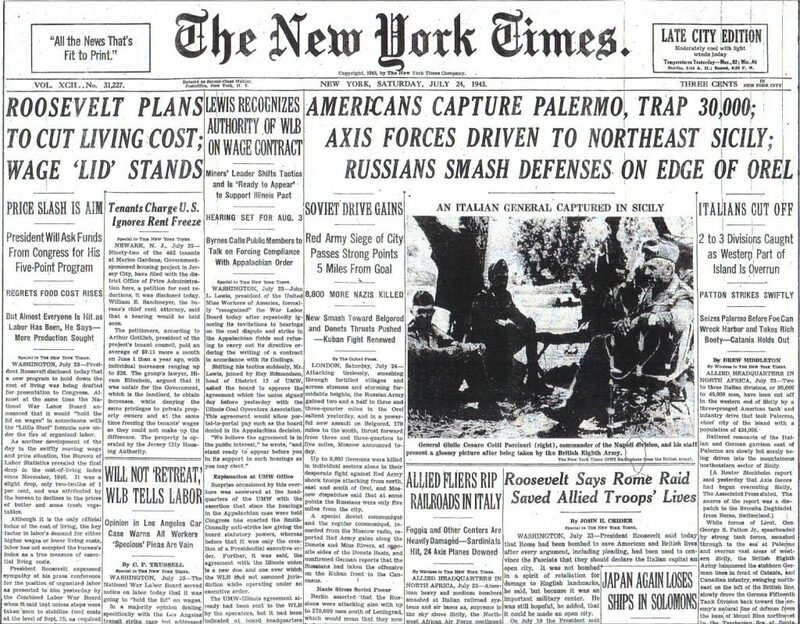 When news reached Rome that Palermo had fallen, the Fascist Grand Council, who had for some time given only uneasy support to Mussolini, knew that something had to be done to limit the damage of what now looked like an inevitable defeat for the Axis powers in Italy. 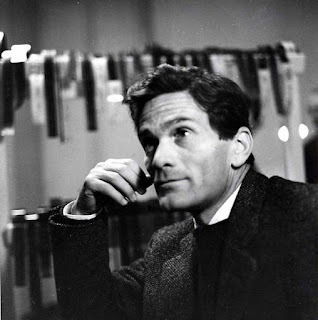 After a series of disasters sustained by the Axis in Africa, many of the Italian leaders were desperately anxious to make peace with the Allies and the invasion of Sicily, representing an immediate threat to the Italian mainland, was the development that prompted them to action. 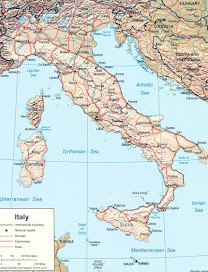 Two days after the fall of Palermo, after Mussolini had told the Grand Council that Hitler was thinking of withdrawing German forces from the south of Italy, a motion calling for Mussolini’s removal from power was passed. On July 25, the king, Victor Emmanuel III, told Mussolini that he was to be replaced as prime minister by General Pietro Badoglio, the former chief of staff of the Italian army. 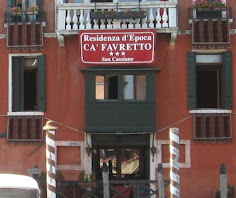 After he left their meeting, Mussolini was arrested. 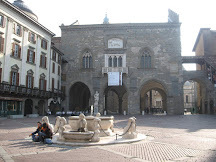 Although there was still a large presence of German army personnel in Italy and undoubtedly many undercover agents, secret meetings between Italian officials and the Allied commanders were already taking place with a view to agreeing an armistice, which would be signed as early as September 3. A few days after Mussolini was ousted, Field Marshal Albert Kesselring, the German commander in chief in Italy, decided that the Axis troops in Sicily must be evacuated. Under the cover of rearguard actions in the area of Mount Etna, 40,000 Germans and 60,000 Italian troops were safely withdrawn across the Strait of Messina to the mainland. The Allies entered Messina on August 16, at which point the conquest of Sicily was complete. Of approximately 190,000 Italian casualties during the invasion, 4,678 killed were confirmed as killed with 36,072 missing, 32,500 wounded and 116,681 captured. 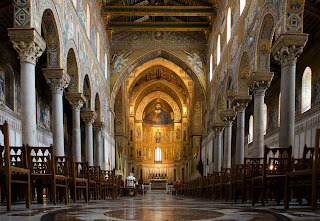 One of the places from which the Allies chose to launch their assault on Palermo was Monreale, an historic hill town famous for the fine mosaics in the town's great Norman cathedral. Dedicated to the Nativity of the Virgin Mary, the cathedral is often spoken of as the island's greatest Norman building. 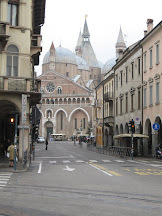 It dates back to the 12th century, when the Norman ruler, William II, founded a Benedictine monastery. 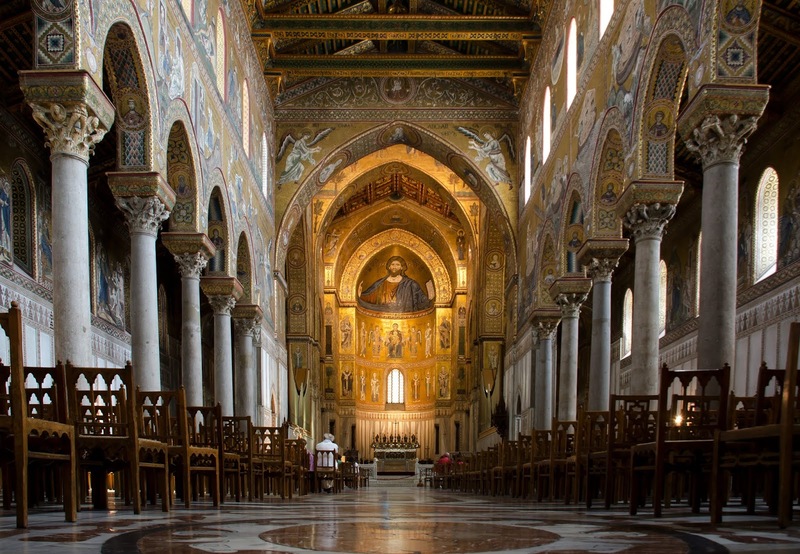 The church became something of a national monument for Sicily. 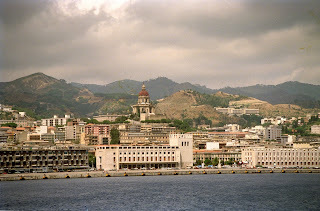 Messina, which was the last part of Sicily to come under Allied control, is a city in the northeast of the island, separated from mainland Italy by the Strait of Messina. 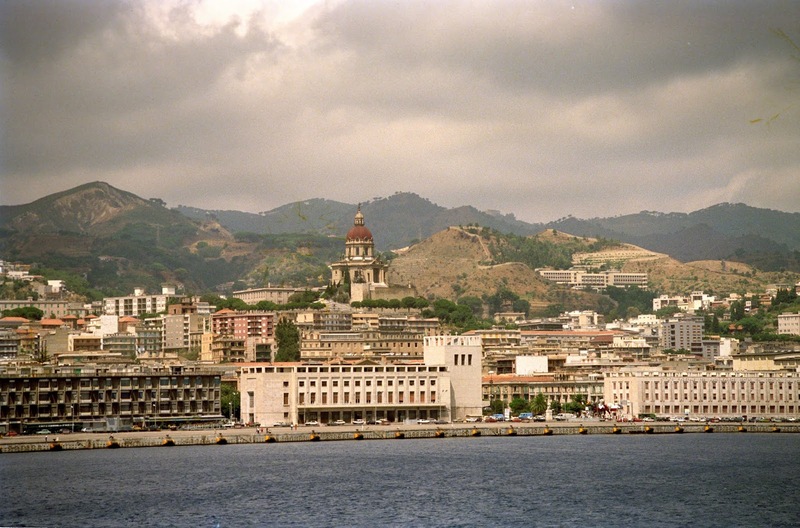 It is the third largest city on the island and is home to a large Greek-speaking community. The 12th century cathedral in Messina has a bell tower which houses one of the largest astronomical clocks in the world, built in 1933.